Red Nose Day falls on May 24 this year, and the annual charity event brings people from across the world together to have fun, raise money and change the lives of children who need help the most– those living in poverty. 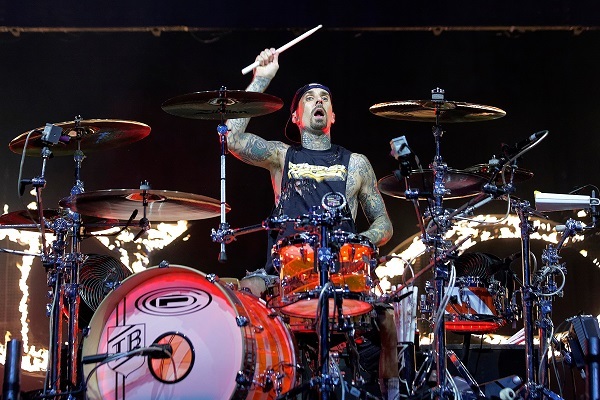 A bevy of performers have been tapped to help out with this year’s event, and when it comes to rock, Blink-182’s Travis Barker will appear during NBC’s “Hollywood Game Night” as part of the network’s Red Nose Day celebration. Barker will serve as the guest drummer with the program’s house band, The Scorekeepers. The special Red Nose Day episode will air at 9 p.m. ET on May 24. Other celebrities who are slated to appear on the “Hollywood Game Night” Red Nose Day special include Jack Black, Kelly Clarkson, Sarah Silverman, Isla Fisher, Sean Hayes, Chelsea Handler, Sasheer Zamata and Cedric the Entertainer. If you could like to get in on the Red Nose Day fun, Walgreens and Duane Reade stores are selling red noses to benefit the cause. ons nationwide starting April 2, 2018. Proceeds go to “some of the neediest communities in the US and some of the poorest communities in the world,” according to a statement.. Partner charities are Boys & Girls Clubs of America; charity: water; Children’s Health Fund; Covenant House; Feeding America; Gavi, the Vaccine Alliance; UnidosUS; Save the Children and The Global Fund. For more information on Red Nose Day and how to get involved, head to RedNoseDay.org. In other Barker news, the drummer was recently spotted in the studio with Blink-182 working on new music for the band’s follow-up to 2016’s “California.” He’s also been busy working on some new tunes with Limp Bizkit guitarist Wes Borland.